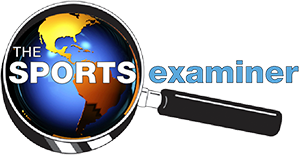 The Sports Examiner is designed to provide all-in-one, comprehensive coverage of the top-level competitions in international sports which are featured on the program of the Olympic or Olympic Winter Games. Commentary on today’s hottest topics in international sport. Our new coverage concept, inaugurated in 2019, has a mix of free and subscription content. Our unique commentaries – Lane One and The Big Picture – plus coverage of Athletics, Aquatics and Gymnastics are generally for subscribers only (with some exceptions). Our coverage of the other sports on the Olympic program – from Archery to Wrestling and Alpine Skiing to Speed Skating – is generally free (with a few exceptions). Plus, we offer special features you won’t find anywhere else, including our twice-weekly Speed Read of what you absolutely need to know about what’s happened and what is coming up, and our weekly Stat Pack, with the results of the major international competitions of the previous week and weekend in an easy-to-use PDF format. Between the two, subscribers will see coverage of more than 500 events annually and receive about 150 of these special reports during the year … for about 26 cents a day on an annual subscription! Our primary interest is in what happens to athletes, their performances on the field of play and how they are impacted by what happens off the field. There are other, excellent sites that cover the latest sponsorships, television deals and the business of sport. We’re interested in who won, who lost, how, why and what will happen in the future … especially at the Olympic Games. Although we have a special interest in American athletes, we also cover events which have no U.S. participation at all. Our goal is to keep you informed about what is going on before, during and after the world’s greatest sporting event, the Olympic Games. The Sports Examiner has already been recognized for its excellence in coverage, as the recipient of the 2018 Adam Jacobs Award for Online Writing by the Track & Field Writers of America. Ready to join us? Please click here. Rich Perelman has been a bid developer, planner and/or operator of 20 multi-day, multi-venue events, including five Olympic/Olympic Winter Games, in the U.S., Canada and Europe. He was the Vice President/Press Operations for the Games of the XXIIIrd Olympiad in Los Angeles, which was awarded the AIPS Trophy for best press facilities in the world for 1984 and, through his Perelman, Pioneer & Co. consulting firm, provided the media operations management for the 2002 Olympic Winter Games in Salt Lake City, the 2015 Special Olympics Summer Games in Los Angeles and many other events. In addition to nearly 100 books, event and statistical guides, he has written for the Los Angeles Times, Track & Field News, Universal Sports and many other publications. He is a longtime member of the Association of Track & Field Statisticians (ATFS), International Society of Olympic Historians (ISOH) and the Track & Field Writers of America (TAFWA). The Sports Examiner is a copyrighted publication of Perelman, Pioneer & Co. All rights reserved for all formats, both online and offline.